If you’re filling out the soundtrack of a youth- or angst-oriented picture, the jagged edge of alternative rock makes a perfect sonic complement. SmartSound Royalty Free Music provides both no-budget newbies and cost-conscious professional filmmakers with a wide range of options across all genres. Dub music is an offspring of reggae developed in Jamaica in the 1960’s. Dubbing literally means making a copy of one recording to another. In this case the dub producers took existing songs, stripped off the vocals, emphasized bass and drum parts, and went from there, reshaping the song electronically to suit their vision. 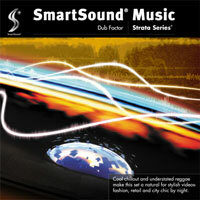 Royalty-free dub music shows up in dance club tracks and vibes all over the Smartsound world, from Chill to Trance to Electronica, and fills the need wherever you want viewers to tune in to their rhythm and give their busy brains a mini-vacation. 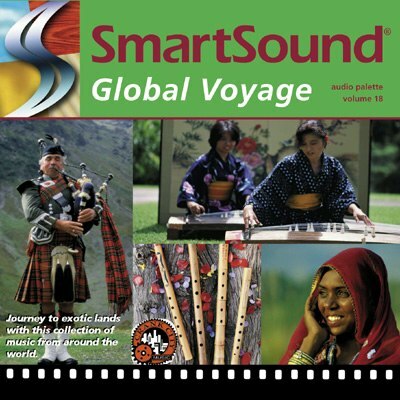 SmartSound has much to choose from in the realm of Royalty Free Indian Music, starting with India’s Mantra from Scoring Essentials. This hypnotic, sensual, earthy track, perfect for short film, meditation, massage therapy, or any contemplative venue features multiple exotic instruments from drones to large-bore wooden flutes to rhythmic tablas. Indie Pop lets you reach the final plateau with driving, competitive, The Extra Mile. Sports footage is a natural venue for this track, but it could also follow a hero’s journey in a TV/Film production. Studio orchestra highlighted by clear tones from a bell-like percussion instrument, and piano keep the story flowing in a positive direction. 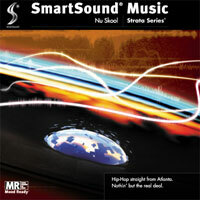 Royalty Free Pop Rock Music from SmartSound brings out the lively side of rock music. Upbeat and musical, these selections never get too heavy, but they do sometimes convey the bittersweet facets of life. Rock/Pop laced with an Indie flavor rolls out Shoreline from Bright Side. With a relaxed, friendly beat and melody that seem to go on forever, this track makes a great backup for a montage of going-places scenes. The beach bum has grown up, and turned that ability to patiently wait for the perfect wave into a positive benefit in the working world. Also a nice backdrop for motivating commercials. Royalty Free French music can’t help but lend an air of high society polish to your video production. Even innocent, whimsical French Waltz, from the Parlour Games album manages to sound cultured at every turn, with Chamber Group, piano, and violin consorting to bring out the posh in your next Indie film, Short film, or Biography. What violins are to orchestral music, electric guitar is to rock and pop; SmartSound’s selections of Electric Guitar Royalty Free Rock Music number in the 100’s. From faithful underpinnings of rhythm and melody, to taking the lead with energy and emotion, the versatility of electric guitar in adding the right up-to-minute feel for your video production is unparalleled. 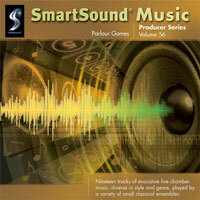 Enjoy the earthy energy of Classic Rock Royalty Free Music from SmartSound’s extensive library. There’s enough high-octane vibe to populate a year’s worth of on-screen concerts, or films that move just like one. Whether the Boomers are getting together for an ensemble weekend, or the animated feature is teaching a fun, lunatic lesson, classic rock sets the tone. SmartSound's royalty free Hawaiian music transports us instantly to cheerful, relaxed days in the sun. Bring out the ukuleles and Hawaiian guitars, and in just a few short notes, you know exactly where you’re supposed to be right now, hula dancing under the palms, and forgetting all your woes. Royalty Free Hard Rock Music from SmartSound bristles with intense masculine energy; hard-driving, hard-core; a few less-intense moments thrown in lighten the mood for a moment before barreling on. That intensity never lets up in raucous, hard-hitting Smother Me from Core Beyond. Variations like Grunge, Suffocate, and Relentless tell the story of the ferocity that lies within. Use this slammin track for Video Game terror, and Film Traileraction portending a v. powerful movie opening just a few ominous months hence! 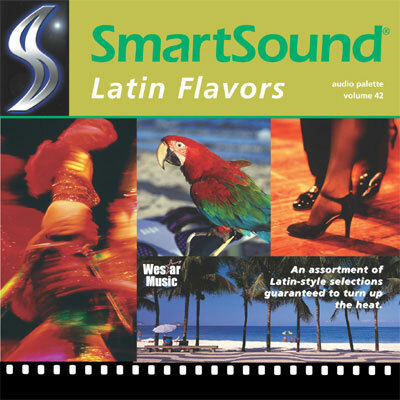 Aptly-named Latin Flavors serves up a feast of delectable, spicy tracks, guaranteed to make your mouth water. Is it any wonder Latin music brings up visions of food and festivity? Party, travel, or romantic scenes love the Latin touch! Festive, punchy Cha Cha with Me lights up the kitchen with sassy brass horn riffs, cha cha piano and spirited percussion. Its high-octane energy dances its way through your happiest Travel, Cooking, and home Video projects. Like dub music, Hip Hop developed first as a purely instrumental offshoot of African-American music, in the 1970’s. Part of its origin was block parties in the Bronx area of New York City, where DJ’s started isolating the percussion breaks of popular funk and soul music songs. Vocals in the form of rap, breaths, or monosyllables were added over the top, and a whole new style was born. One legend of the origin of the term has rapper Keith Cowboy mocking a friend who’d just joined the Army with the nonsense phrase “hip/hop hip/hop” to mimic the marching soldiers. SmartSound's Royalty Free Irish music kicks your video production into high gear in a few beats or less, thanks to the enduring quality of the genre itself. Irish music remains one of the few genres that have not only morphed and evolved into some of the most popular rock, pop, and soul performers of modern times (U-2, Enya, Van Morrison), but has kept its traditional forms alive and thriving. Dance music isn’t just for party and club scenes. It makes an excellent counterpoint in any scene where you’re aiming to amp up the energy or build the thrill of anticipation. You can also use traditional dance music to create a sense of cultural authenticity. SmartSound Royalty Free Dance Music has a wide range of dance music collections, from folk songs to contemporary techno and electronica. No matter what mood you’re trying to strike, we’ve got the perfect sound! SmartSound’s Heartwarming Royalty Free Pop Music brings it together, fleshing out all that is heartwarming in terms of uplifting, positive and motivating, with Rock’s happy-go-lucky offspring, Pop Music. From Jangle Pop comes sweet, expansive ballad, True Desire, which starts out quietly and pensively with Indie guitar riffs. It’s then joined unobtrusively by string beds, like two opposites attracting each other, but still tentative. Pop Rock and strings make for a great relationship and this track turns up the joy fast, building to the climax of the story just in time for a Short Film.